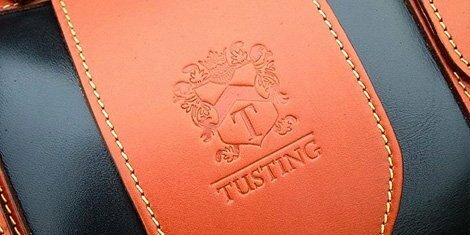 Tusting - Learn more about the luxury leather accessories company here. The story of the TUSTING brand begins in the 1870s when the development of the sewing machine was revolutionising the shoe making industry in England. This innovation lead to the rapid emergence of dozens of brand-new factories dedicated to shoe manufacture. A young labourer with an entrepreneurial spirit, named Charles Petit, saw that these new factories would need more and more leather to fulfil the demand for their shoes. He seized the opportunity to capitalise on this need and founded a leather tannery to provide for it. A hundred years later and four generations on from Charles, in the late 1970s, the recession hit and almost all of England’s shoe production moved to the Far East. This sadly meant the end of our family’s tannery, but having produced fine leather for so many decades, we had acquired immense knowledge of the subject and diversification was the key to survival. Today, with two of Charles’ great-great-grandsons at the helm, Alistair and William Tusting, our family business has a rather different look. Moving firstly into expert leather sourcing, the big change came in the late 80’s when, absorbing skilled leather workers from the diminishing shoe trade, we began experimenting with making luggage from our leathers. Our efforts met with approval from prospective customers and the TUSTING luggage brand was born. 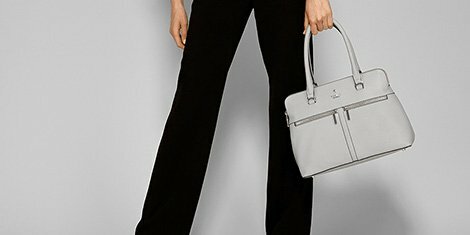 We created a new standard, delivering a lightweight yet robust product with a distinctive look yet which still aged with all the grace of the traditional English heavy leather that was used for luggage until then. Our workshop lies close to that original tannery and is home to our new generation of highly skilled craftspeople. It is perfectly placed to draw on the considerable talents of local leather workers, many of whose families also share in this heritage. We remain fully in touch with the tanning industry, not just as customers of the finest leathers for our bags, but also still as leather merchants, supplying some of the UK’s finest luxury shoemakers with premium lining leathers. This deep and expert knowledge of leather is the secret ingredient which guarantees the selection of the perfect hide for each exquisite piece made in our workshop. In the hands of our talented team, these flawless materials become wonderful products, which combine truly original character with unmistakable quality. Indeed, it is the products themselves that communicate their own value and quality. Almost thirty years since our first briefcases were produced, many are still in everyday use. They look wonderful, having matured beautifully and acquired the mellow patina and distinctive personality of a classic piece of furniture.